Surrounded by the Tagus River and other emblematic areas as Alfama. 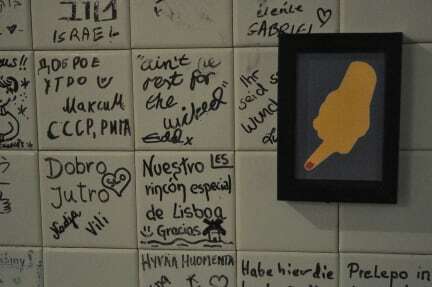 Lisbon Art Hostel is the newest neighbour of Santa Apolónia Train Station. 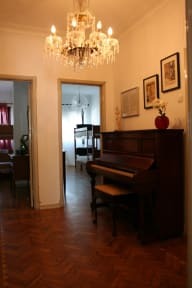 With a reduced capacity of 4 bedrooms, it is our aim to receive the guests in a relaxed and comfortable way, where art serve as an excuse for a unique encounter with the city of Lisbon. For those who seek cultural activities in Lisbon, we offer customized information about exhibitions, conferences, shows, online booking, etc. We also organize tours / walks (urban art, literary routes, museums, etc.). We offer our guests a continental breakfast simple but healthy. Just beside the Santa Apolonia train station, that allows travelling to the center and north of Portugal. With metro and bus station, 5 minutes from the apartment, which provide exits throughout the city and where you can make a road or rail connection to the beach. Near a large supermarket (inside the Station), small shops where you can buy basic food, coffee shops and restaurants. The dorm rooms, which offer a view of the Tagus River and the main street, are equipped with orthopaedic mattresses, bed linen, cabinets and a small living room. Our accommodation has an environmental policy of respect for the level of energy consumption and reuse. Our accommodation also has a community and social responsibility policy based on hiring workers that fulfil the labour laws of our country and into local integration projects which support the most vulnerable groups.